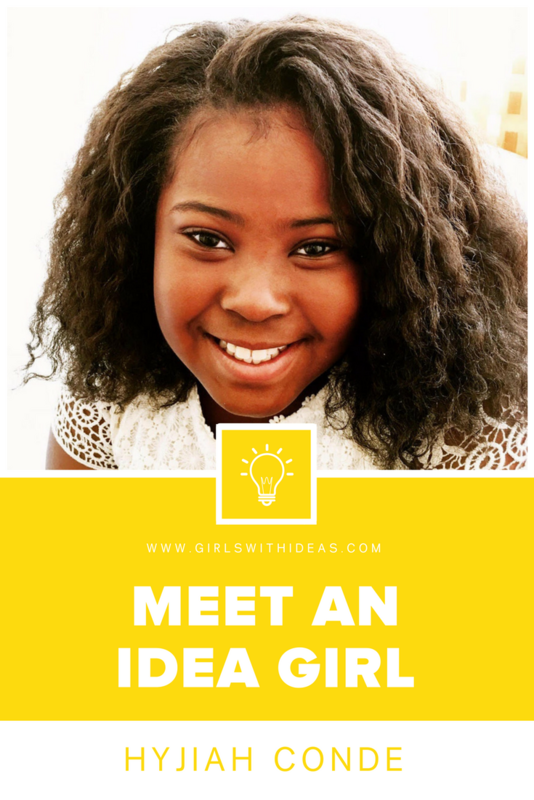 After being bullied and dealing with low self-esteem, Hyjiah, an Idea Girl from Philadelphia, Pennsylvania decided that she wanted to make an impact on the world. She started her own non-profit, SuperGirlzland, which encourages girls to express themselves and never feel alone. Read on for our interview with her. I love singing, dancing, acting, and writing. I also am very busy traveling internationally and creating programs for my non-profit. I want to become a pediatrician and the first African-American woman President of the USA. We host workshops and events throughout the year to connect girls with low self-esteem and give back to the community. The main focus of our events is to spread awareness of how much self-esteem matters and to bring youth together from all walks of life. This is how our youth are able to connect and learn each other's stories. As for helping people in poverty, I give back to shelters every year. I have adopted a family for the holidays, I had a coat drive where we collected over 50 brand new coats, I travel to South Africa where I personally take school supplies, clothing, brand new shoes, and personal items for the young girls. I recognize their needs and help address them. When we are in South Africa, we also have one-on-one time with girls there. I learn and connect to other girls by hearing their stories and how they have dealt with low self-esteem from being in poverty and being victims of crimes so young. These girls have been victimized and I allow them to get their stories out to the world. I connect with them by sharing how I have been a victim of bullying and how that impacted me. I came up with my idea from being a victim of being bullied and dealing with low self-esteem. I've had to learn to trust people's word and support. I also had to learn that I just needed to believe in myself even harder. I have have met so many girls from all walks of life, and I have expanded internationally in South Africa and West Africa. facing youth today. I also need help in whatever way you can with fundraising and sponsorship so I can continue my mission. My advice is to make sure you want it or you won't excel at it. Make sure you are committed and dedicated and you believe in yourself first. Don't ever give up on your vision. If you know a girl with a story like Hyjiah's, nominate her to be our next featured Idea Girl!